Here’s my look at what comics of interest are coming out from Marvel and DC Comics for April 2019. Bad news for fans of the adult-oriented Hanna-Barbera comics: “Scooby Apocalypse” is ending its three-year run as of April 2019. The book, about the Mystery, Inc. gang taking on zombies in a post-apocalyptic setting, ran a lot longer than I thought it would. And that’s accounting for Scooby being the most popular Hanna-Barbera franchise these days. Bleeding Cool feels that “Apocalypse” is being cancelled because of upper WarnerMedia management disliking the “darker and edgier” tone of DC’s Hanna-Barbera comics. I assume the concern’s a mix of merchandising reasons and that the characters are mainly meant for an all-ages audience. Granted, Adult Swim has used the Hanna-Barbera characters without complaints. Meanwhile, the two other “Scooby-Doo” books are likely safe for now. “Team-Up” doesn’t have a new issue this month, but is still fairly popular. Plus, the regular “Scooby” book, now on a bimonthly basis, is approaching its 100th issue. DC’s also been publishing a Scooby-Doo comic of some sort since the 90s. Finally, 2019 is Scooby’s 50th anniversary, making his regular books being axed even less likely. “The Unbeatable Squirrel Girl” #43. Art by Erica Henderson. Besides Doreen’s rise in popularity, another likely reason is that Loki’s become a minor character in her comic. 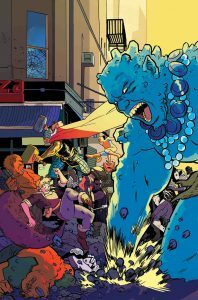 Thus, a plausible reason for Squirrel Girl’s involvement in the Thor-centric event. “Marvel Team-Up” was originally a long-running Spider-Man team-up title; each issue saw Peter Parker meet a different Marvel character. With the new title, it’s Kamala who’ll be meeting various other heroes each month. The new series kicks off with a nod to the previous incarnations, featuring a team-up with Spider-Man. 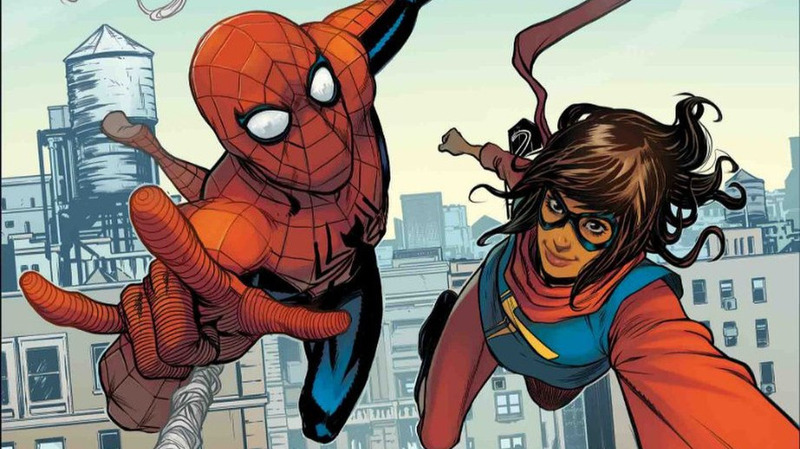 Ms. Marvel, along with Miles Morales, also appears in Shuri’s comic this month.